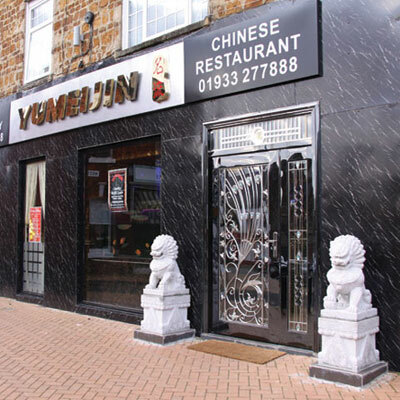 At the Yumeijin restaurant you can be sure of a warm welcome and fantastic Chinese food. A perfect environment for a romantic dinner for two, or a place to celebrate or relax with family and friends. Our set menus are specially designed to create a balanced Chinese meal which alternates the five flavours, sharp, hot, bitter, sugary and salty to the full. The various dishes which constitute the meal follow the organised scheme of colour, flavour and aroma. Much thought and appreciation has been given to the art and presentation of the authentic dishes. The restaurant has special tables available for your celebration or business function and we can cater for groups. The manager on duty at this restaurant will be pleased to discuss your requirements. Ample free parking for up to 200 cars at rear.